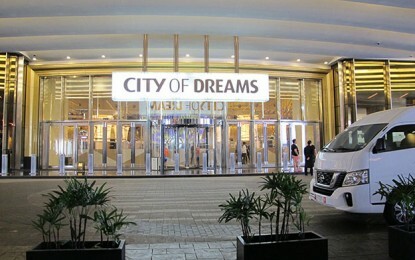 Macau’s casino regulator, the Gaming Inspection and Coordination Bureau, also known as DICJ, will consider whether to advise pulling the plug on the city’s casino gambling activities in case of certain types of emergency, it was announced on Wednesday. The news came as Typhoon Mangkhut – described by meteorologists as a “super typhoon” that could cause danger to human life wherever it makes landfall – was on a course likely to bring it to the Guangdong coast this weekend. The term used in a Macau government announcement on the matter was regarding the powers to suspend gaming operations would apply in the event of “typhoon or adverse weather”. The statement did not outline how that would decided and by whom. 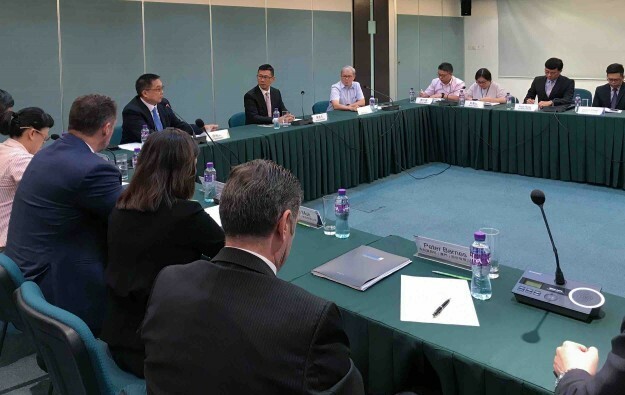 Wednesday’s public notice followed a meeting that day (pictured) involving officials from the gaming bureau, the Labour Affairs Bureau, the city’s inward investment agency the Macao Trade and Investment Promotion Institute, and the six licensed local casino operators. During the meeting, the three government bodies were said to have urged caution on the part of the casino companies regarding their employees’ welfare, reminding employers to make prior arrangements for staff work patterns during typhoons as well as instituting other contingency measures. Employers were also advised to warn their staff to take extreme care if outdoors at the time a typhoon makes landfall. A press release issued at 1pm on Thursday by Macau’s Meteorological and Geophysical Bureau said that wind speeds at the centre of the oncoming Typhoon Mangkhut had been recorded as reaching 240 kilometres per hour (149 miles per hour). The news about the mechanism to suspend gaming comes in the wake of last year’s Typhoon Hato, a category 10 storm that left 10 dead and caused catastrophic flood and wind damage to much of city and wrought heavy economic losses. In the aftermath of Hato, some gaming workers voiced criticism of casino work arrangements for typhoon periods. Macau’s legal framework for gaming requires concessionaires to keep their casinos open daily but allows suspensions in “exceptional” circumstances, upon government approval.